Bhatia is the brains behind Ziya, the eight-month-old restaurant on the first floor of Mumbai’s Oberoi Hotel. 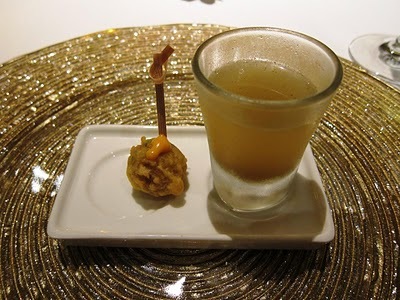 He has already tested out his menu, to wide acclaim, in his flagship London restaurant Rasoi and its twin, Rasoi Geneva. He is the second UK-based chef — after Gordon Ramsay — to have Michelin-starred eateries in two countries. At Ziya, the décor is understated and elegant, a quiet backdrop against which the drama of beautifully prepared food is enacted. The waiters are knowledgeable about the menu, blending into the background when not needed, and emerging from the woodwork when glasses are empty. A counterpoint is Dévi in the posh Flatiron neighbourhood of Manhattan. One almost expects nautch girls to start dancing midway through the meal. Everything else about the unpretentious Indian restaurant gives the impression of being at a royal feast in a resplendent Jaipur haveli — carved wooden doors, brightly coloured curtains and wide silver metal plates studded with tiny balls around the rim. Dévi started as a joint venture between chefs Suvir Saran (who enjoys romancing recipes out of people he meets and wants to leave behind a legacy of recipes when he dies) and Hemant Mathur who, smiling and plump, looks exactly how you think a chef should look, and once was the personal chef to Sir James Goldsmith, the ex father-in-law of cricketer Imran Khan. Mathur has since left Dévi to open Tulsi next month in Manhattan. What Saran — who designed the menu — set out to do with the eatery was to break away from the “recent immigrant mentality” of putting everything on a single menu. That bewilders guests, he says, especially those who are not familiar with the food. Plus, he adds, it breeds mediocrity in the restaurant and stereotypical ordering by the customer. He wants to show everyone that Indian food has a lot to offer besides chicken tikka masala and dal makhani, (which is why, mischievously, Dévi only offers such dishes as expensively priced side dishes —to discourage guests from ordering them.) His menu was designed to be spare — they don’t overwhelm with options, but they do change part of the menu every four months. The chefs at Dévi know how not to overwhelm the palate with excessive seasonings. So vegetables are firm rather than overcooked and mushy, and spices complement rather than overwhelm. Also delightful is the pairing of traditional foods with unexpected sauces. The breast of chicken is stuffed with lamb and spinach, unusual in itself; placed upon tomato chutney with a hint of chilli, it is stunning. The medley of flavours enhances the taste of the clay tandoor, which lingers in the meat. The halibut is moored on a portion of kaddu ki subzi (butternut squash) in a sea of tangy rasam — a perfect example of how the cuisines of north and south India could be wedded in culinary bliss. The fish is garnished with Dévi’s divinely crispy signature kararee bhindi. The critics obviously approve: Dévi received a coveted Michelin star in 2007 and 2008 — the only Indian eatery in New York to have one. You can find modern Indian cuisine all over the world now. Not very far from Dévi, the (unfairly) much more famous Tabla, unapologetically fusion, serves up duck samosas and tandoori calamari. 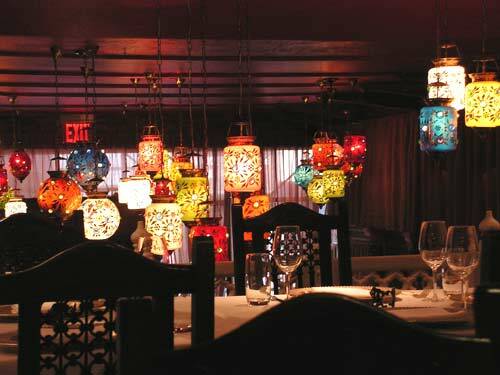 (After 12 years, Tabla is closing its doors this December.) 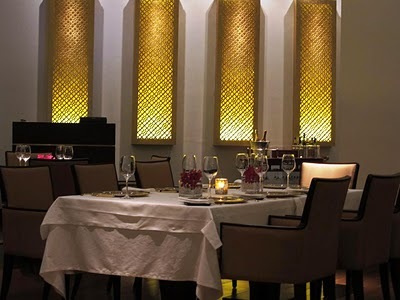 In 2008, the Taj Mahal Hotel Group opened Varq, Chef Hemant Oberoi’s brainchild, at Mansingh Road in the Capital. Highlights include the repackaging of street food, dishes such as Calicut prawns with asparagus, bhartha three ways (with brinjal, tomato and pumpkin) and a tea list, curated by a tea sommelier. 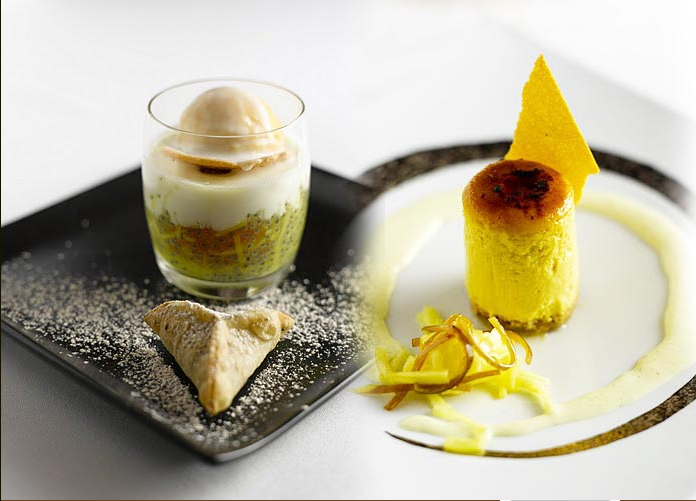 Further east, Singapore boasts a critically acclaimed, award-winning Indian restaurant, Song of India, where Maharashtra’s Chef Milind Sovani practices his art. It is widely hailed as the top Indian restaurant in the island nation. Unlike Bhatia, Sovani is willing to incorporate non-Indian elements into his cuisine. So his menu features tandoor-smoked, mustard-enhanced Tasmanian salmon with a lime herbed crust, pan-seared French foie gras delicately spiced with star anise masala, and panna cotta with a hint of cardamom. But he insists that he does “authentic Indian cuisine with a modern touch” and that “the cooking technique and spices used are all Indian”. All the restaurants clearly accomplish that goal, as evidenced by glowing reviews and satisfied customers. Despite spanning three continents and a varied audience, these chefs have managed pitch-perfect menus, impressive wine pairings, even nimbu paani-inspired cocktails. They may tweak their dishes slightly to accommodate the different palates of an American or Singaporean guest, but the essence remains the same. This article was published on 27 November 2010 in the Indian newspaper The Times of India.